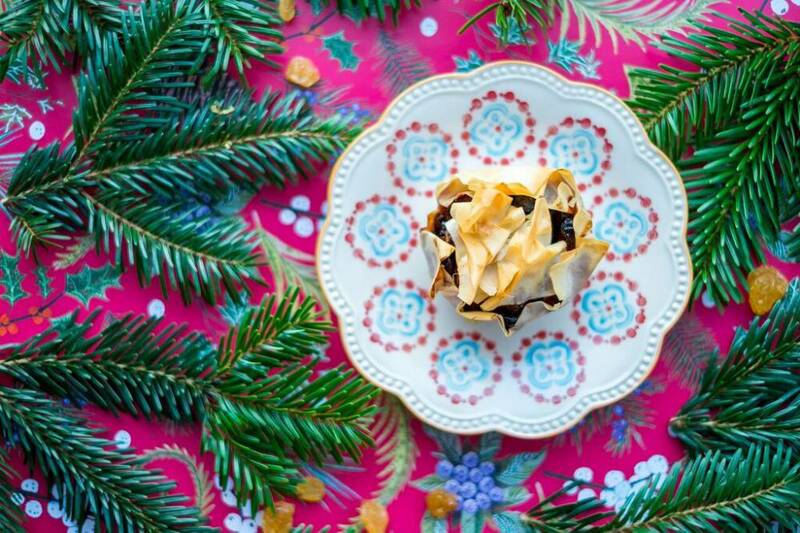 Few of us can resist the seasonal favourite mince pie. 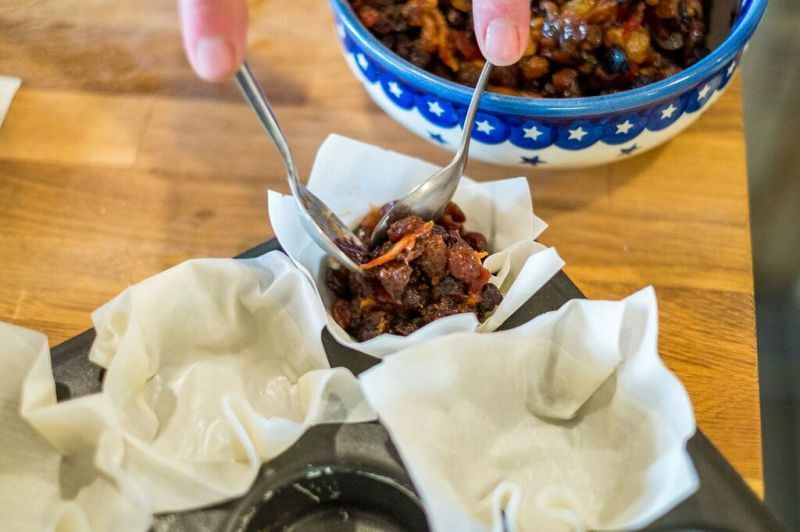 Our version is a fraction healthier than the traditional variety, and your own mincemeat is suprisingly easy to make. 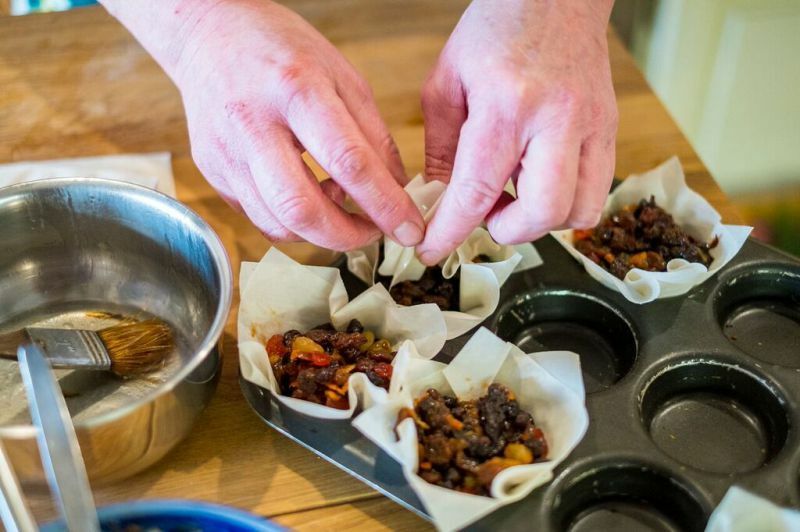 Your kitchen will smell wonderfully festive as you bake them - go on, give it a go! 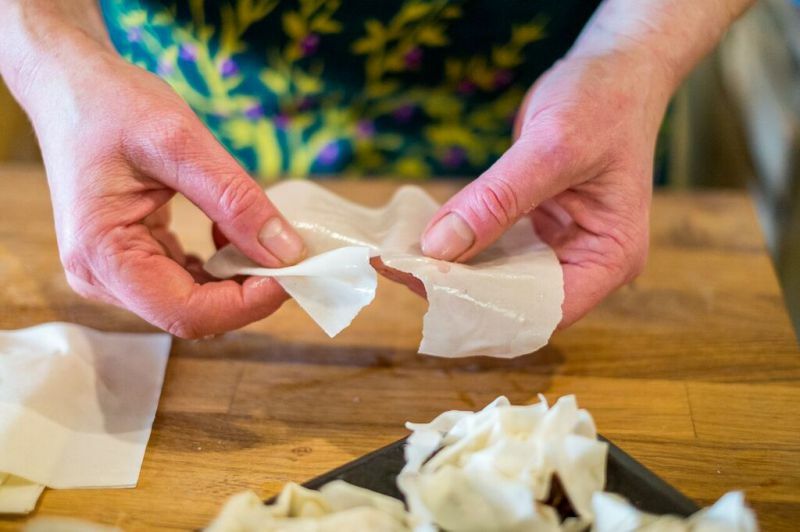 3 sheets filo pastry - you can buy chilled or frozen, either will do. 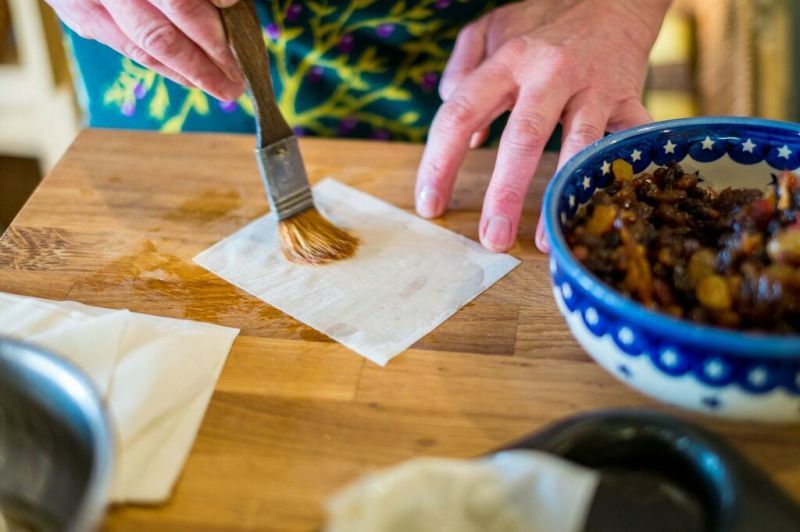 Firstly, make the mincemeat. Place everything except 2tbsp of the coconut oil and the pastry in a pan and warm over a low heat. Cook gently for around 10 minutes then set aside so the fruit can plump up! 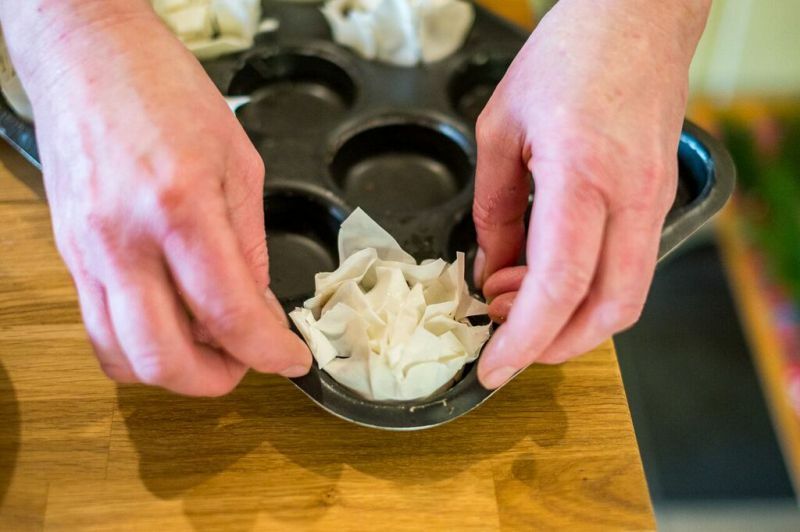 Place the filo landscape on to your work surface. Cut in to half top to bottom then each half in to half again. Then each strip, cut into 3. Melt the remaining coconut oil then brush each pastry square lightly. Put two squares on top of one another to make a star shape and the gently press in to a bun tin. Do this with 24 pieces making 12 pie cases. 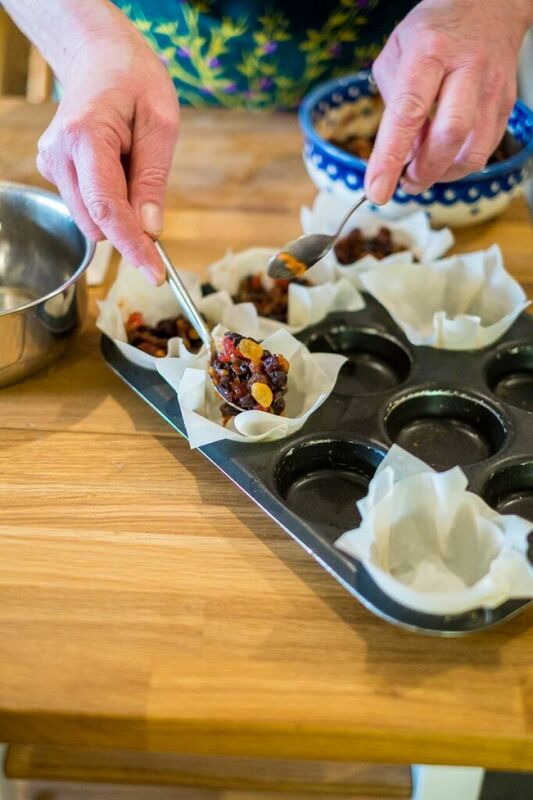 Divide the mincemeat into the pastry cases. 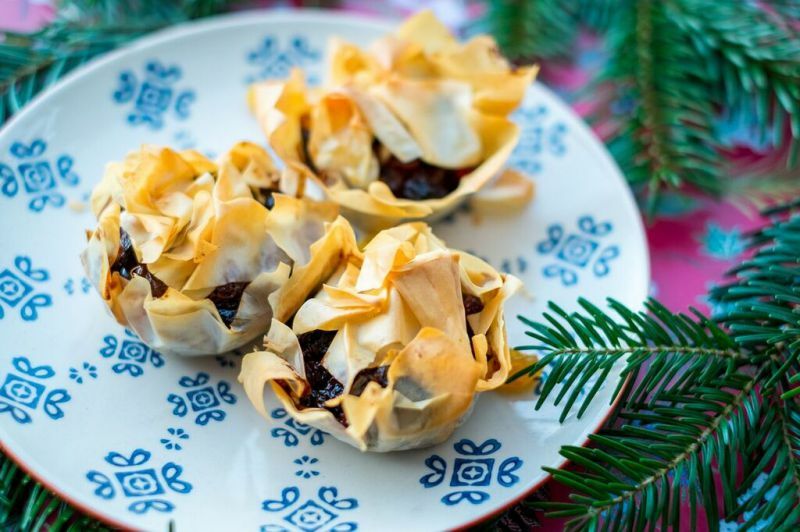 Take the remaining 12 pieces of filo and scrumple them up and place on top of the mincemeat. 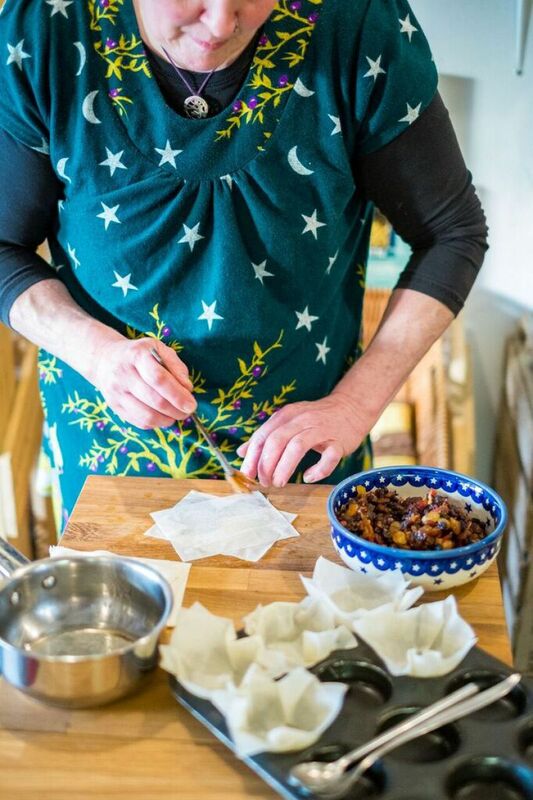 Using filo pastry instead of shortcrust or puff is a healthier choice, as you use coconut oil instead of butter. Glacé cherries are soaked in sugar syrup so sour cherries are a good alternative. Check your dried fruits for added fat and sugar. Enjoy the taste off Christmas with a little less sugar and fat content!